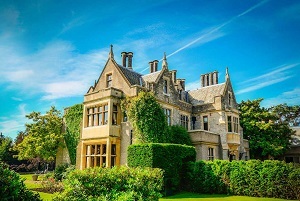 Join Global Corporate Venturing, Global University Venturing and fellow conference attendees for a day of golfing in the heart of the the English Countryside - a beautiful location to network and unwind. 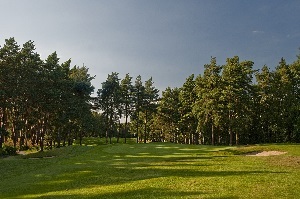 Set in 400 acres of countryside, Foxhills is a welcoming golf club set in the heart of the Surrey countryside, yet on London’s doorstep. The GCV Symposium and GUV: Fusion events might be over, but the networking continues, so sign up for golf and let us take care of the logistics. Please check in with the GCV staff at The Grange St Paul's, where two luxury coaches will be taking you directly to the golf club. 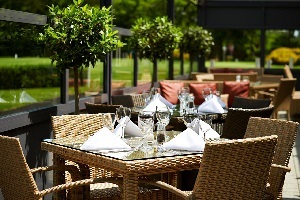 Enjoy a two-course lunch at Foxhill's Nineteen conservatory upon completion of your game. • Tickets are £150 + VAT per person. • Please sign up for the golf outing when registering for the GCV Symposium or GUV: Fusion events. • Golf clubs, buggies, trolleys and shoes may all be rented from the golf club.